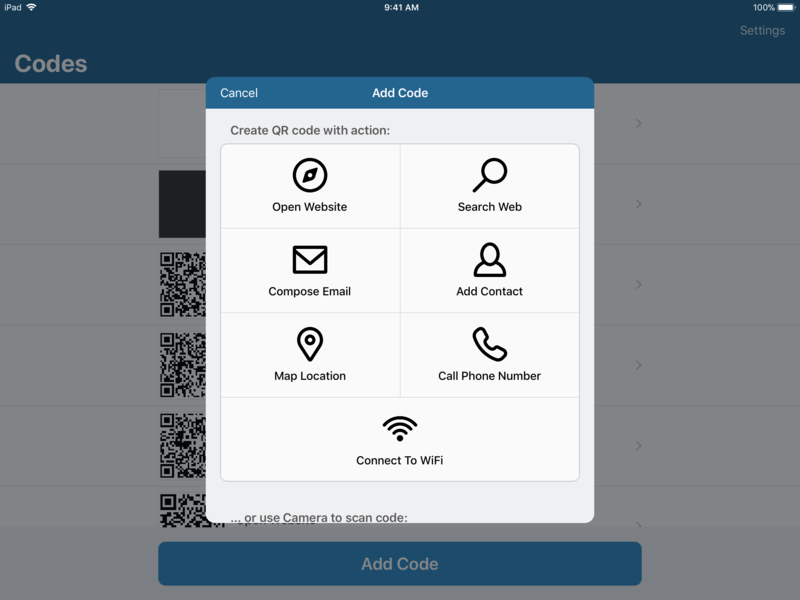 Visual Codes enables users to make QR codes that other people scan with their iPhone or iPad Camera app. Make codes to perform seven different actions. 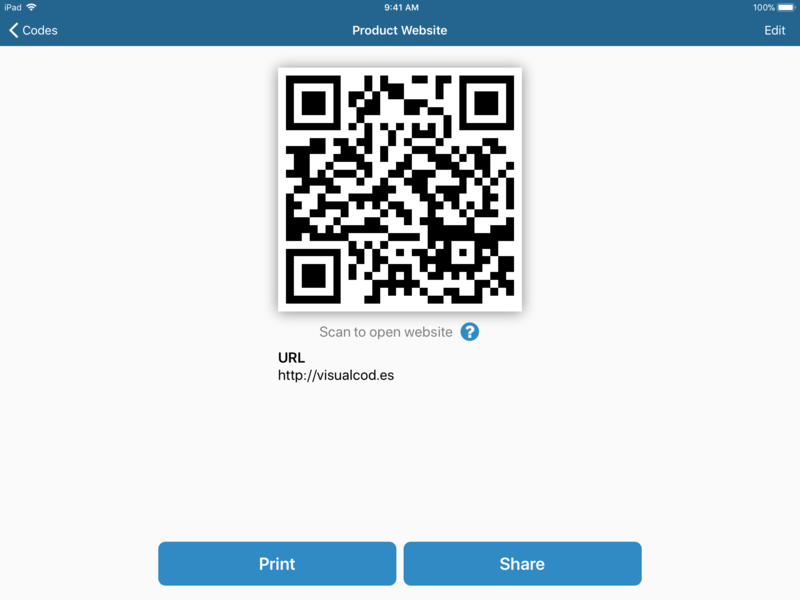 Scan codes from within Visual Codes and add them to your library. Share via Twitter and Facebook, or print out posters to hang on the wall. 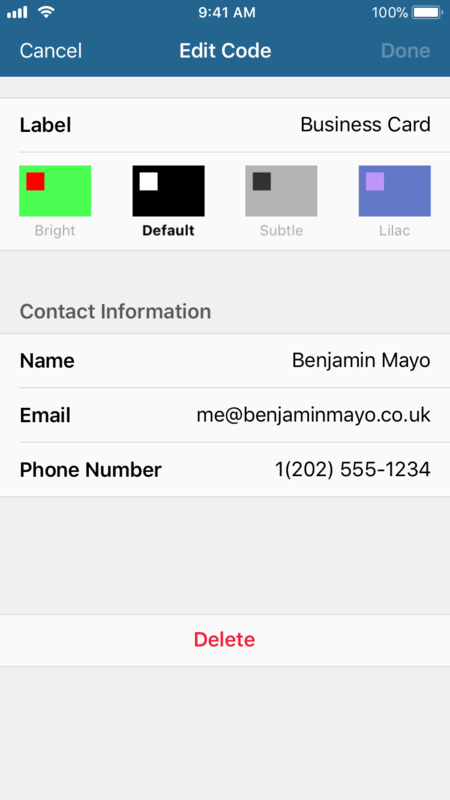 Interact with Visual Codes with iPhone, Apple Watch and Siri. Visual Codes takes advantage of a new feature in the iOS 11 Camera app. Camera now automatically detects QR codes. Just point the viewfinder at a QR code to scan. 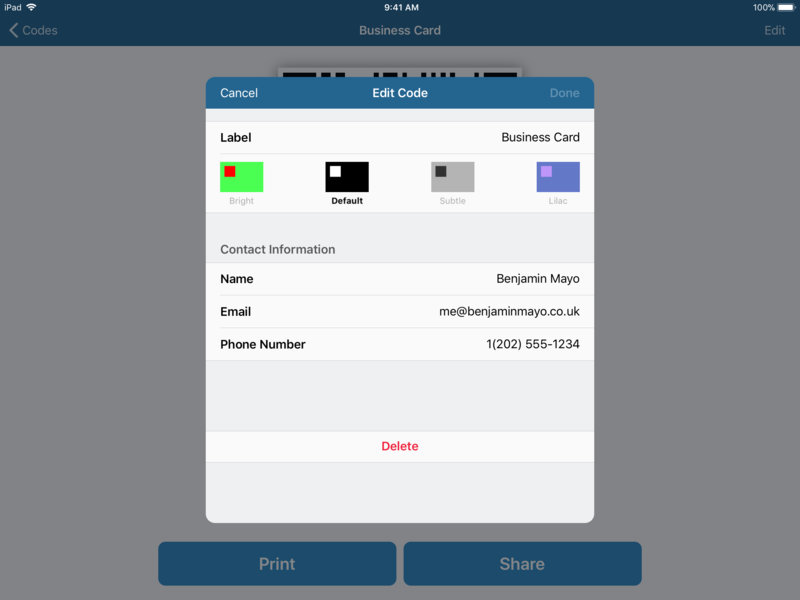 This means users can interact with Visual Codes without installing any third-party apps. It's all built in to iOS 11. The codes will also work with many other devices too, including Android phones. Add codes to perform seven different actions, from opening links to connecting to home WiFi. Codes are automatically saved to the library. Rearrange list using Drag and Drop. 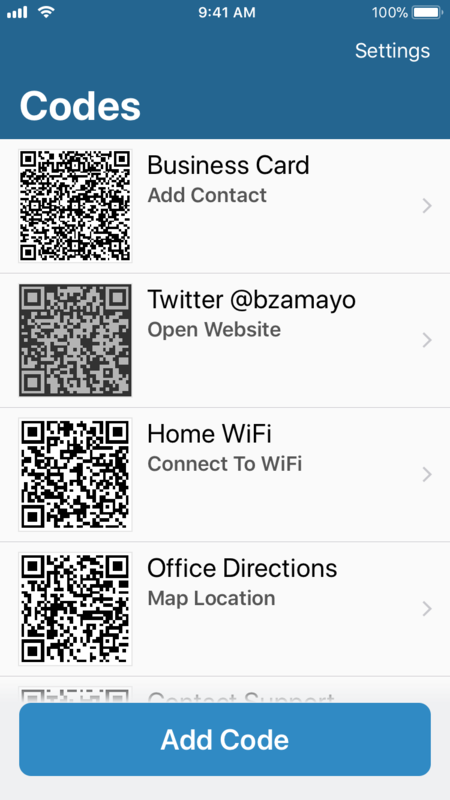 Scan QR codes and import them to your library instantly, to save for later. 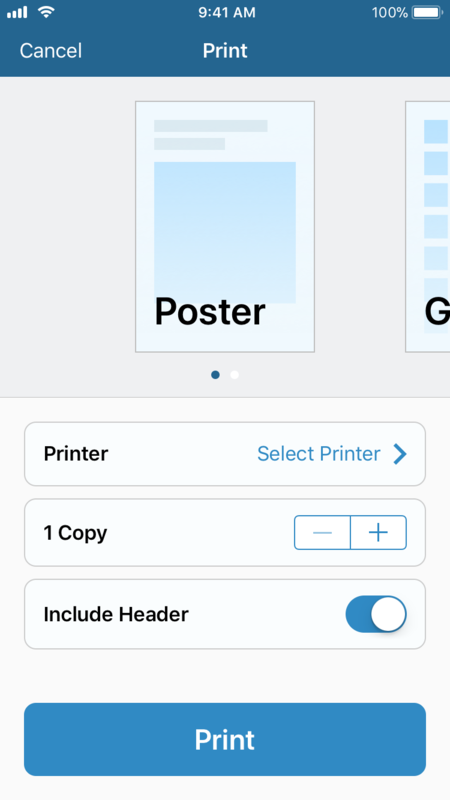 Print posters and grid sheets. Set your most-used code as a Pinned Code and use a Siri voice command to show it from anywhere. Select from four code styles to customize QR code colors; bright, monochrome, subtle and lilac. View your Visual Codes library on Apple Watch with the companion Watch app. 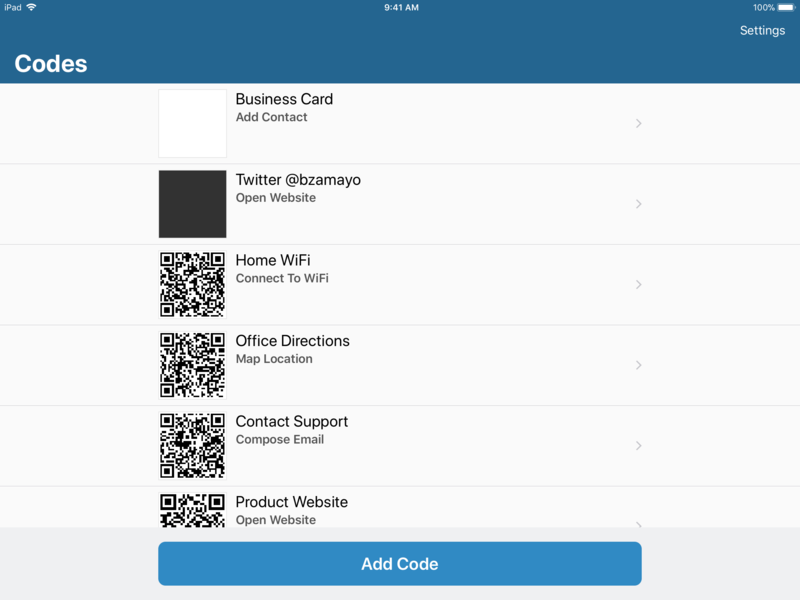 Visual Codes is a modern iOS application that is designed for iPhone and works great on iPad too. 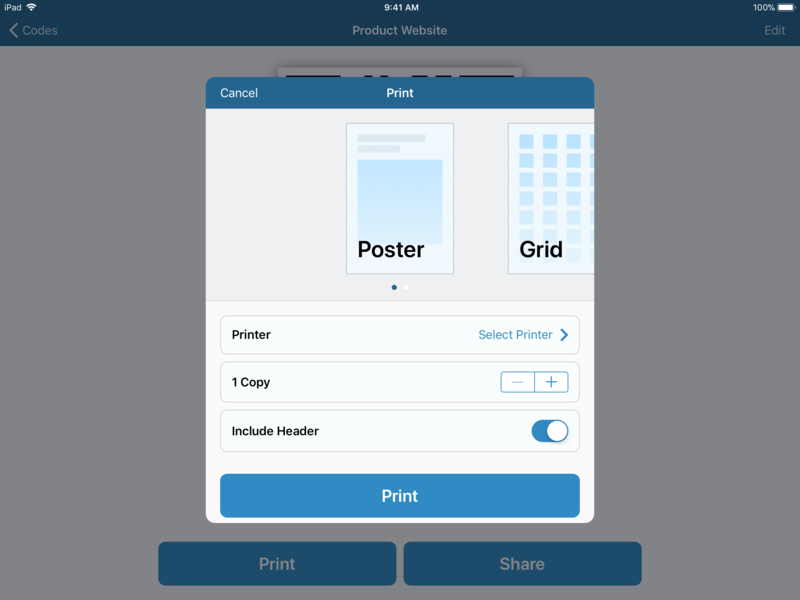 It supports iPad Split View multitasking, keyboard shortcuts, SiriKit, and Drag and Drop. 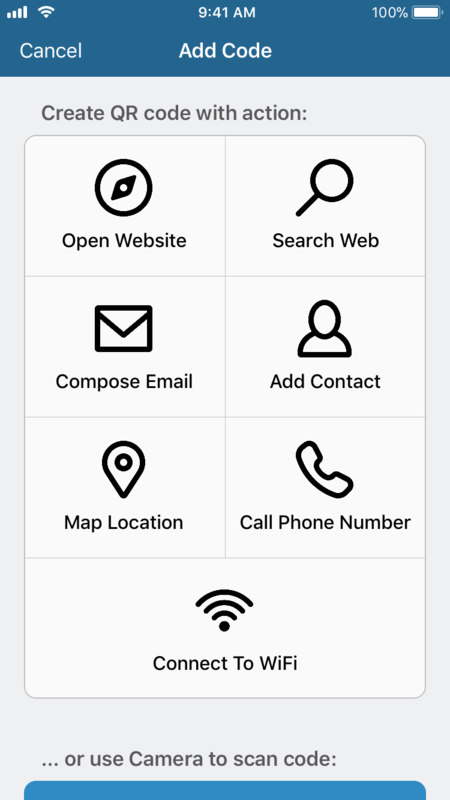 There is also extensive Accessibility integration so everyone can enjoy the app. 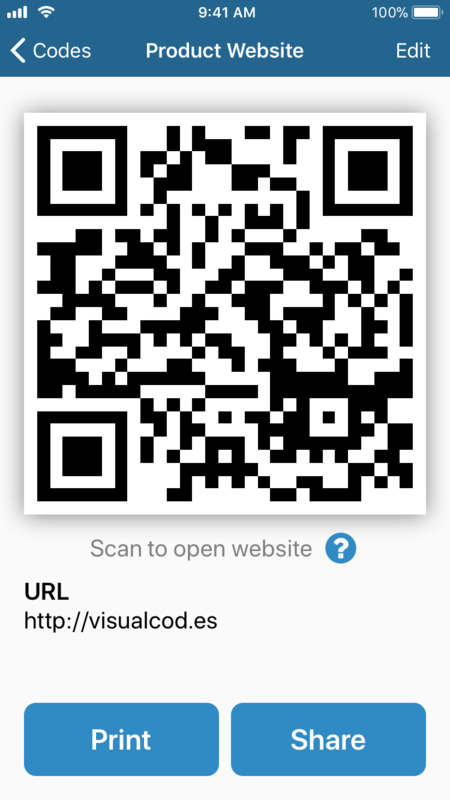 Visual Codes supports Dynamic Type, VoiceOver and Smart Invert Colors. Feel free to reach out if you have additional questions about the application, or any other queries: contact Benjamin directly (email, Twitter). Promo codes to unlock the In-App Purchase are available to members of the press upon request.